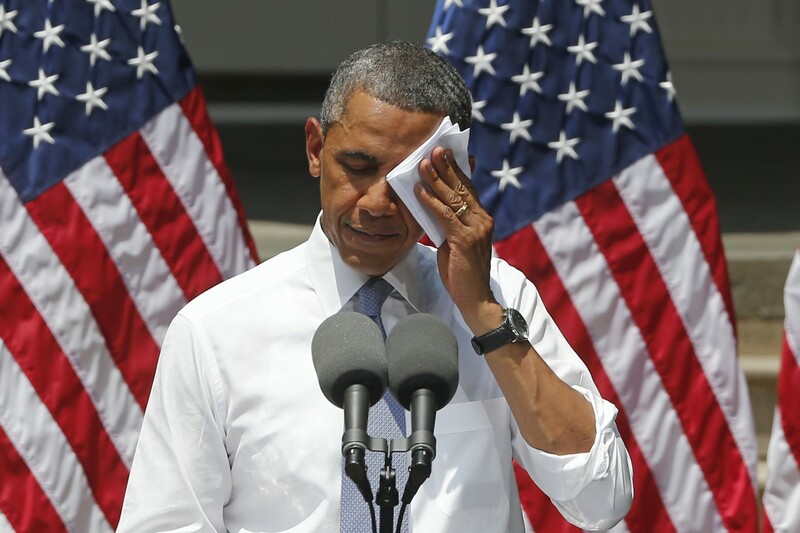 President Obama made an important speech on climate change on June 25. He announced several policies to be implemented using his executive authority. Al Gore said it was the "best presidential address on climate" ever. The speech and the steps Obama announced are very positive for a number of reasons. First and possibly most importantly, he argued for the necessity of tackling climate change, declaring that "we don't have time for a meeting of the Flat Earth Society." His advocacy of action to address climate change is one piece of convincing even more millions of people that we don't have time to waste. This helps turn the agenda away from the deniers and procrastinators, from the oil and coal company executives and owners who want to continue making excess profits while they still can. Obama called on the people of our country to demand action by political leaders at all levels - to invest in renewable energy, to divest from fossil fuel companies, to force politicians to promote sensible climate change laws as a condition of winning the support of voters. He called on citizens to "make their voice heard." The steps he announced, from regulating emissions of greenhouse gases from new and existing power plants, to setting a goal of 10 gigawatts of renewables produced on public lands by the end of this year, are worthwhile in their own right. While these actions do not and can not accomplish as much as major congressional legislation, they do move the U.S. as a country from the obstacle to the solution side of the ledger. Obama, while punting the final decision on the controversial Keystone XL pipeline down the road, set the crucial precedent that permits should be denied unless there is proof that the pipeline won't increase carbon dioxide emissions. This is an application of the precautionary principle, a variation of the medical admonition to "first do no harm." We should applaud the fact that Obama, after mentioning climate change in both his inaugural address and in this year's State of the Union speech to a joint session of Congress, is following up with real action. If he moves forward on his determination to make progress on these environmental issues in his second term, it will be yet another historical accomplishment of his administration. Some have already derided his directive to the Environmental Protection Agency to regulate carbon dioxide emissions as merely telling the agency to perform its job, including following court decisions requiring the EPA to regulate greenhouse gas emissions. However, given the already furious Republican opposition to any action by the EPA, Obama's public reaffirmation is another positive step. While not exactly a "new" policy, it does engage in the battle already ongoing over EPA regulations. These steps build on the environmental accomplishments of Obama's first term, increasing fuel economy standards significantly and investing in renewable energy, using the stimulus to support a more robust renewable energy industry and to invest in research. While appreciating the positive nature of his speech and the policies he announced, it is clear that these actions still fall far short of what scientific knowledge calls for. Climate change does not just threaten even more extreme weather events like last year's Hurricane Sandy; it imperils many natural systems on which developed human existence depend. Much more is required, and congressional Republicans and coal-state Democrats are playing an obstructionist role, preventing the more far-reaching action that humanity needs. While Obama's proposals may be the maximum that is currently politically possible in the U.S., what is really required is a massive effort on many fronts - changing transportation, agriculture, military policy and production; regulating pollution-producing industries; research in many areas of energy, climate, weather, production; retrofitting existing buildings with much more substantial insulation; instituting new building code requirements and federal procurement policies - to mention a few areas where major progress is needed. The fight over the Keystone XL pipeline continues, and the next battle in the Senate will be over the confirmation of Gina McCarthy as new EPA administrator. Already, Republican senators are placing a hold on her nomination and threatening to filibuster any vote on her confirmation. These are just two of many battles to come.